This 3 bdrm / 3 bth house sits on 35 acres high above the valley floor. 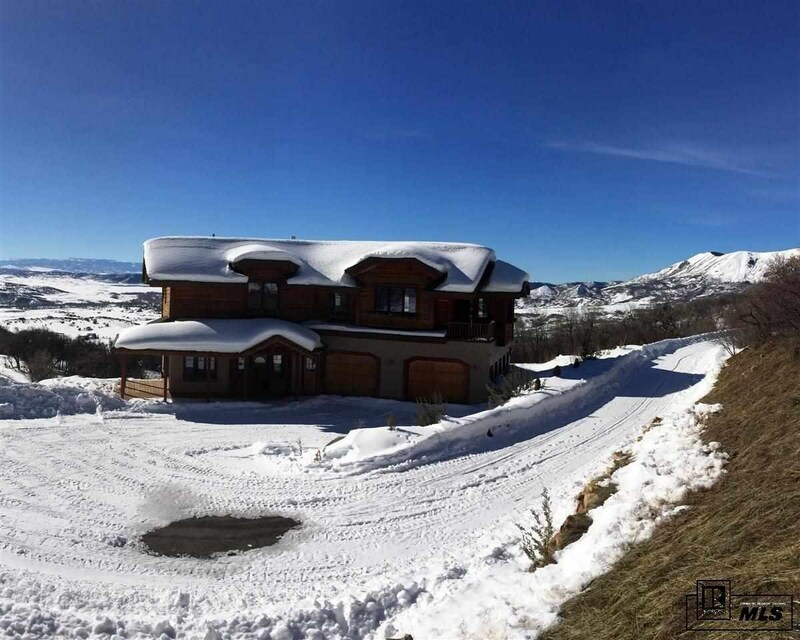 Just 8 miles from the Steamboat Springs city limits this home enjoys amazing privacy and a secluded feel. Large windows and several decks provide spectacular views of wildlife, ranches, National Forest, Sleeping Giant and the Flat Tops, topped only by the amazing sunsets that will highlight the end of your day. Make the basement a playroom for the kids, your very own exercise room or an entertainment room for everyone. The front door enters into a large family room and from there you can walk into the oversized garage or upstairs to the Kitchen, Master Bedroom and Dining Area which all have valley views. The Master Bedroom has a walk-in closet and the house provides lots of storage space. You will truly enjoy the peace and quiet of this unique property.